When I recently received a package full of spice blends from Spice Mode I immediately started thinking about what I could do with salmon. 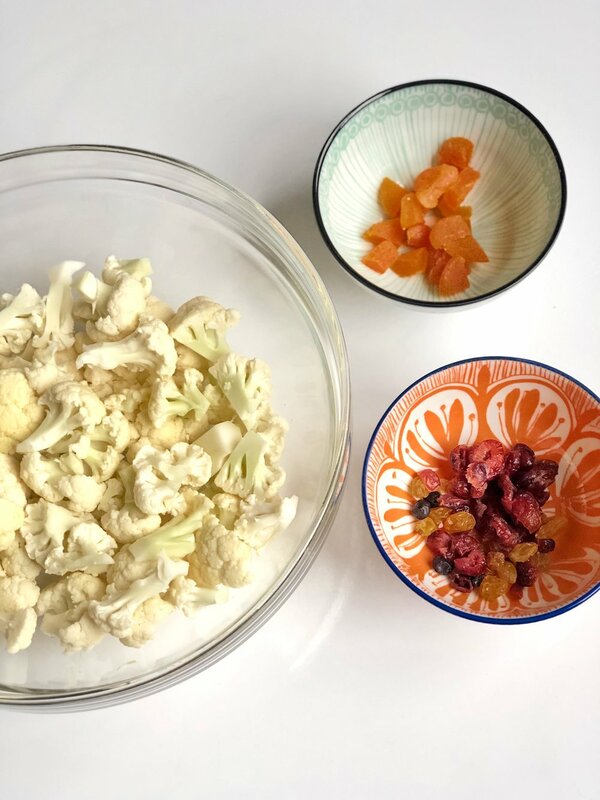 Since it's a bit of a staple in our home I wanted to figure out a few great ways to incorporate these seasonings in fun new ways while still keeping my general meal structure, protein, veggie, starch - I'm sort of a creature of habit. So with a little head scratching and googling this meal was born. 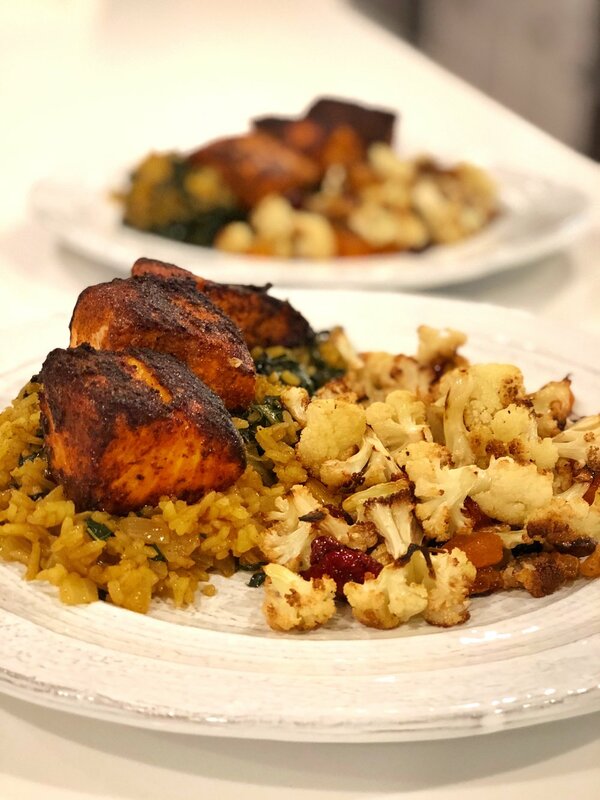 You saw recently that I made a version of biryani and before that I tantalized your taste buds with the crispy roasted cauliflower, but today I'm bringing it all together with this tandoori salmon (side note: I am aware that usually tandoori anything means it was cooked in a tandoor which this obviously wasn't and usually these spice mixes are combined with greek yogurt or coconut milk for a marinade but yea I didn't do that this time either). I think they thought I done lost my mind when I went to Wabash Seafood Company and asked them for a pound of salmon, without the skin, cubed. Like HUH? Anyways now they know what that was all about! I wish I could tell you some big recipe secret for this but I can't because it was really just 3 ingredients: salmon, lemon, and this spice mode tandoor seasoning. Let the salmon marinate for a few minutes in lemon juice, then coat each piece in the tandoor seasoning and pan sear on high heat for a minute or two on each side until the sides are crispy. I'm happy to say this will definitely be a reoccurring meal in our house.